Males Menswear of Blaby, welcome you to our website. We are a family run business committed to providing quality menswear to our new & returning clients. Please browse our website for our product ranges & to get ideas, but if you need any information, or require something specific please do not hesitate to call us or to use the form on our contact page. 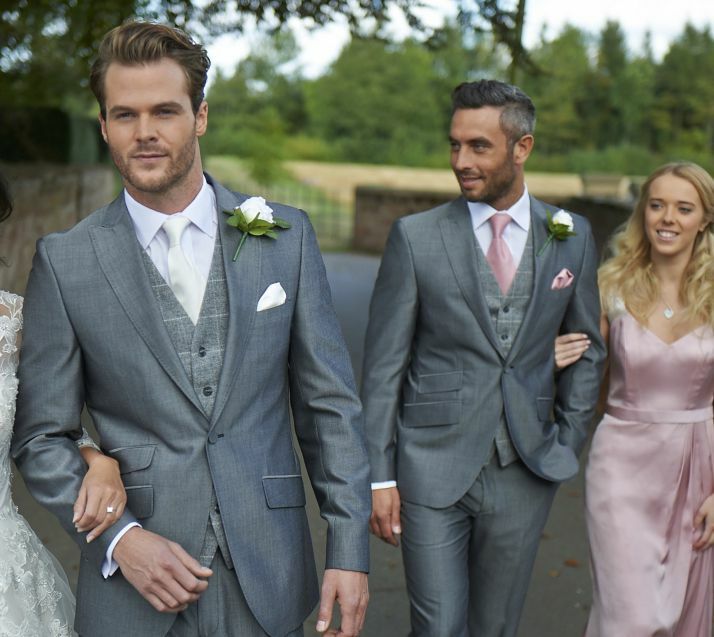 From classic, traditional top hat and tails to more modern lounge suits, our store is home to a vast array of men’s wedding suits. With a variety of designs and colours to choose from, we have something for everyone. No matter if you are attending an important business event or a family wedding, choosing one of our dinner jackets will help you to stand out from the crowd. Our selection includes both traditional and slim-fit jackets. People attending Scottish events, such as highland weddings and Burns Night celebrations, are often expected to follow a traditional dress code. 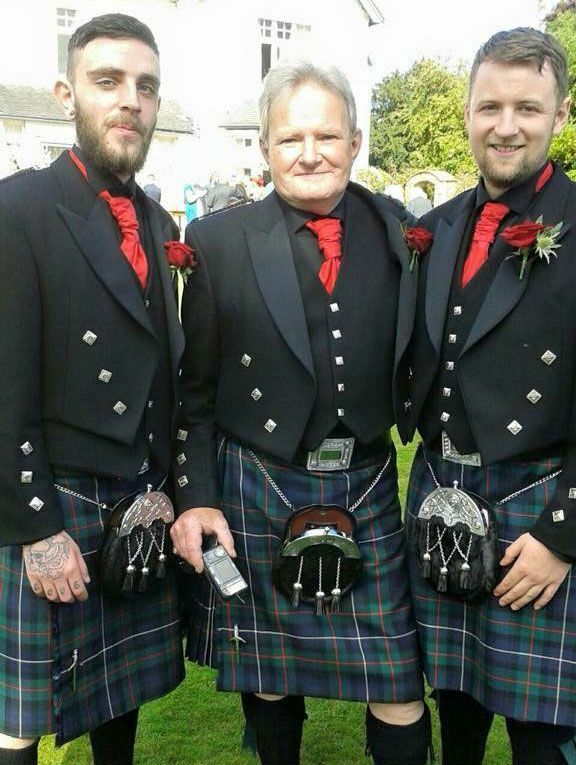 At Males Menswear, we provide a varied selection of kilts in modern or traditional tartans. 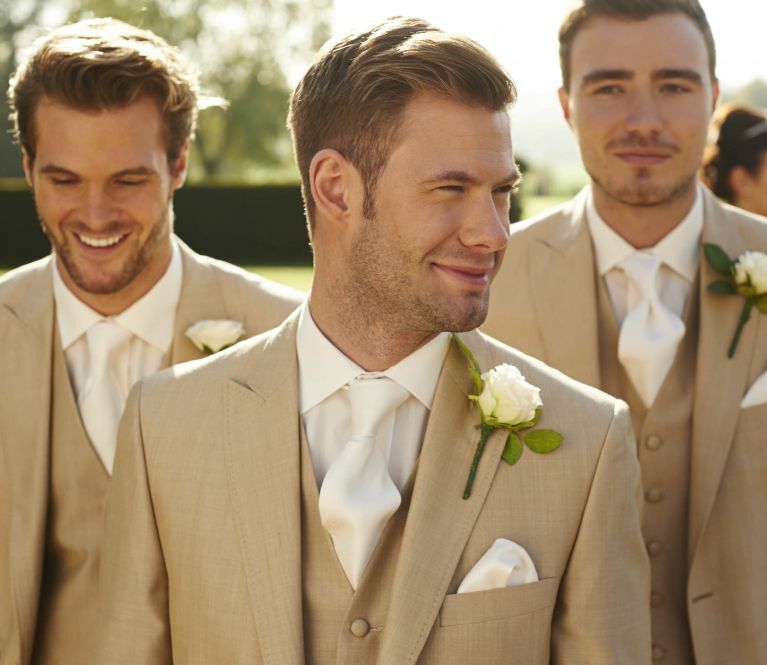 CONTACT us now, in Blaby, Leicester, Leicestershire, to acquire more information about our formal menswear and wedding suit hire. 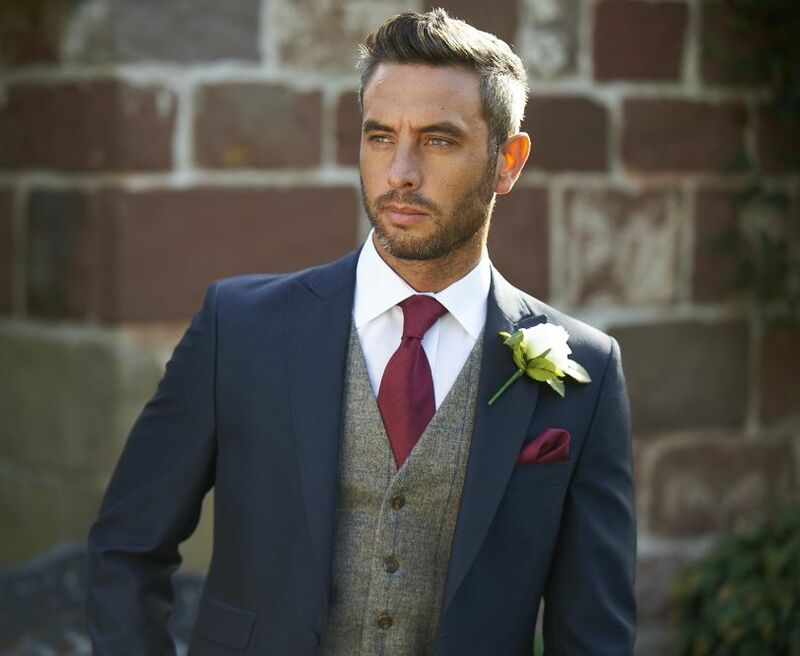 At Males Menswear, in Blaby, Leicester, Leicestershire, we specialise in wedding suit hire, and stock a vast clothing range which includes dinner jackets, lounge suits, tails, Prince Edward suits, and Highland dress. Covering all sizes from two years to 5XL, our product range is sure to include something for everyone. Purchasing the finest formal menswear can be expensive, but that doesn't mean you should settle for a lower quality outfit. Males Menswear first opened more than 40 years ago, during which time we have established ourselves as a knowledgeable and customer-friendly company that provides first-class products at competitive prices. Staff are fully trained and nothing is ever too much trouble. They use their expertise to politely unite customers with the suit or piece of clothing that best suits their requirements. All of our services and packages are tailored to meet the client’s needs as we strive to achieve 100% customer satisfaction. This approach has led to us working with various repeat customers who regularly recommended us to family and friends.When hiring our suits, collection takes place on Tuesday or Wednesday, with Monday being the date of return. A delivery service is available for our clients to take advantage of, with those located within five miles of our company being eligible for free delivery. Males Menswear is proud to be a member of the British Independent Retailers Association. Monday – Wednesday, Saturday, 9:00 a.m.-5:00 p.m.
Thursday, Friday, 9:00 a.m.-5:30 p.m.